Are you ready for the adventure of a lifetime? Students that chose Study Abroad China always boast the most incredible experiences. Studying abroad in China will introduce you to fearless students with unforgettable experiences, cuisine, and history that will forever change them. China offers such a unique culture with diverse customs that attracts students from across the globe. After all, China is home to over 20% of the world’s population. Choosing to study abroad in China is the most equivalent, in size, to studying abroad in America- thus it has something for everyone. There are major metropolitan areas that will make your head spin with bright lights, endless buzz, and an overall vibrant atmosphere. On the flip side of the urban experience, there are so many colorful, natural rural areas that your eyes (and soul) will never forget. 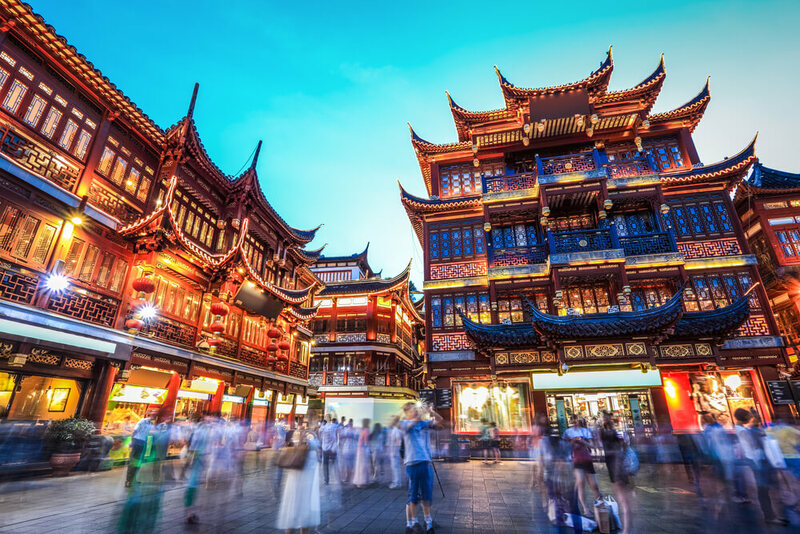 Regardless which type of study abroad experience you seek to have in China, you will certainly be astounded by their culture and history that is powerful from coast to coast. Beware- the pollution here is not an over-exaggeration! Students often note this in their reviews about their experience with study abroad China. Though we suppose it adds to the experience and culture! Every year the Chinese government offers scholarships to foreign nations that cover most (if not all) costs to study there for a year. The idea is that if you are given a year’s free study in China that you will hopefully decide to stay and be a contributing member of their society. This is not a bad idea in the least, and students are crazy to pass up this opportunity. All types of students are attracted to China, and some don’t even speak Mandarin! Even if they do study Chinese Mandarin at their home university, the majority of students take an intensive language course here to get an authentic lesson in language. China has an extensive history which is intriguing for students of all studies. Here students can learn a bit about the Prehistoric, Ancient, Imperial, and Modern Era’s whether they take a course of they wander around their city centers. …Did we mention how affordable the programs here are? Studying and living in China is cheaper than in European countries, the U.S., Japan, South Korea, and many other countries. A lot of post-study abroad students from China say they love it because it feels like you are really at the center of the world with everything coming up around you. Some International student’s favorite cities to study in include Beijing (usually for first-time students to China), Shanghai, and Chengdu. Beijing is home to Tsinghua University which is a fantastic choice for international students. The university is a member of the elite C9 League and has over 46,000 students annually. More than 2,700 students are from other countries! Tsinghua ranks in the global top 10 for architecture, civil engineering, and material sciences. Yet another consistent contender for the top universities in China, Perking University also belongs to China’s C9 League. The university is known for admitting a high number of international students every year. It also has maintained a partnership with one on of Germany’s best universities for study abroad Free University of Berlin. The university is adored by students for its traditional Chinese architecture on their campus. Peking University offers worldly recognized courses in modern language, linguistics, chemistry, dentistry, mineral and mining engineering, administration and social policy! Fudan University, located in Shanghai, is one of the universities that offers scholarships for foreign students. It is China’s third best university according to the latest rankings and is also a member of the C9 league. The university currently is home to 32,000 students. It is known as one of China’s most selective schools and ranks among the top 50 worldwide in subjects such as their modern languages, chemistry, material sciences, and politics. If you intend to study in China there are two types of visas though they vary with what you need for duration/purpose. Look closely at the details! Also please note that the embassy decides whether to issue the visa on a case by case basis. This visa is issued to those who intend to study in China for a period of more than 180 days. X2 visa is for anyone who intend to study in China for a period of no more than 180 days. Besides the documentation, the visa officers may request other documents in order to decide whether to issue the visa on a case by case basis.